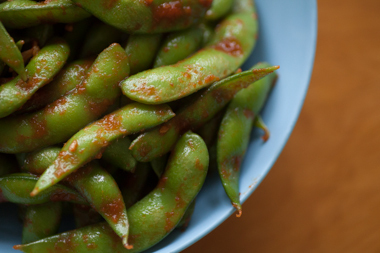 The next time you make edamame, toss it with some butter, garlic, and sriracha. Super simple appetizer. Cook your edamame according to package directions, warm some butter in a pan, throw in some chopped garlic and sauté, then add the sriracha and edamame. Toss this and place in a bowl. So good. Previous: Previous post: Free Yoga?